Tema AA-11 wird an der a/b Schnittstelle der Telefonanlage angeschlossen, von analoge Endgeräte wie z.B. Telefon oder Faxgerät. Programmable via DTMF phone with 9 different commands. 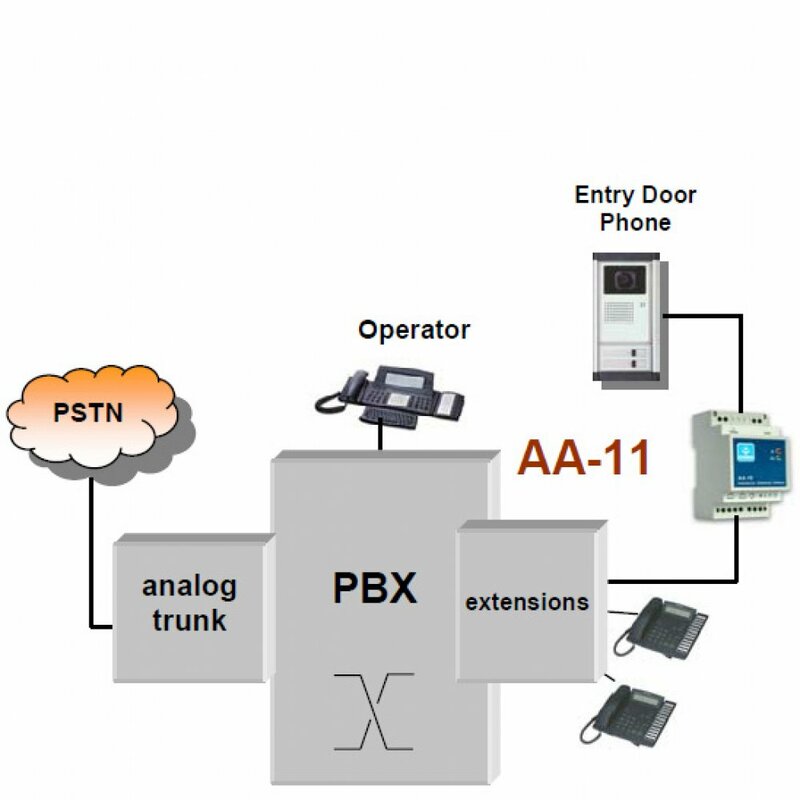 TEMA Door Phone Systems AA-11 allows to connect an existing Entry Door System (4/5 wires) to a PBX analog extension. When a guest arrives and pushes the button to ask to enter, AA-11places a call to the operator or to programmed extensions (up to 3 numbers). 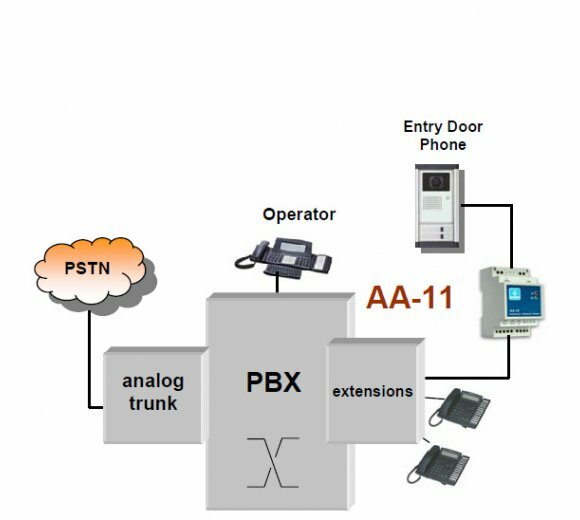 In this way is possible to execute, through a normal DTMF phone, 8 different commands as you normally would through the entry phone device: speaking with guest, open the door lock, switch on/off the lights and so on. 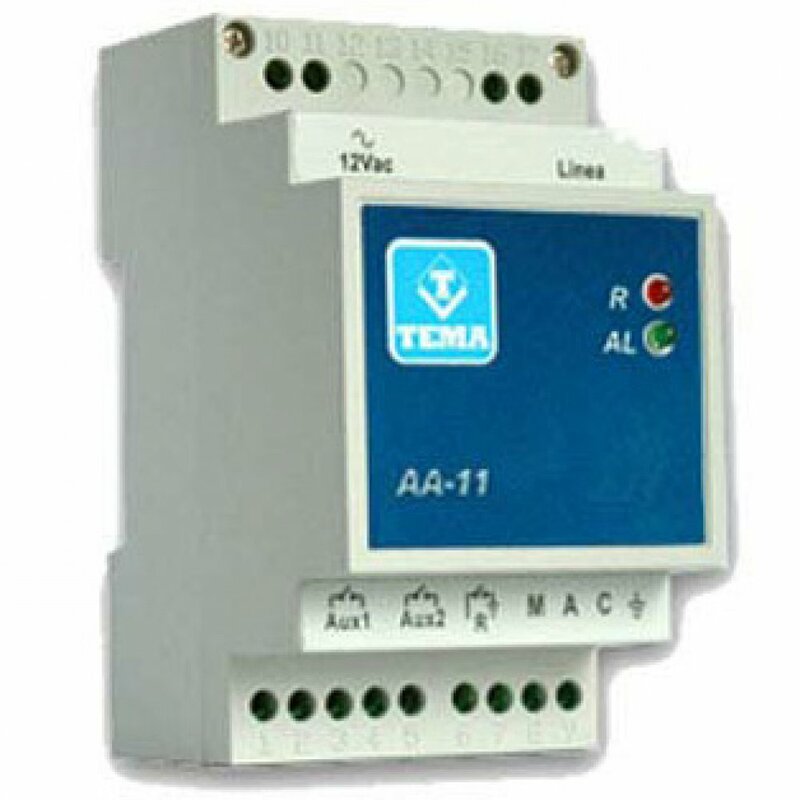 AA-11 is equipped with 1 open-door relay and 2 auxiliary relays in order to drive external devices (i.e. switch on lights). 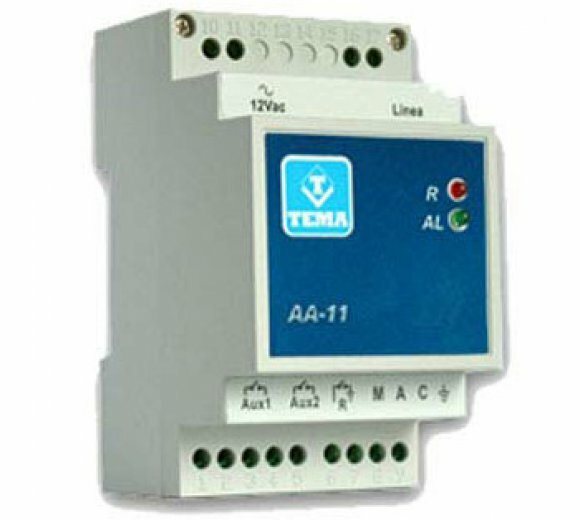 Both relays are fully programmable: it is possible to choose the number of pulses of the open-door relay and the modality of the auxiliary relays (normal or impulsive running): this features, as well as small dimensions, make AA-11 a flexible solution for several automation requirements.